Pharmacy Error & Prescription Drug Injury Attorneys | Kennedy Hodges L.L.P. Like many Americans, you depend on your medication to keep you healthy and free from serious medical conditions like a heart attack, stroke, or blood clots. You also depend on your local pharmacy to provide you with the correct medication based on your doctor's prescription. But what happens when you suffer a serious injury because of a prescription or pharmacy error? Local grocery store pharmacies, including Kroger, Meijer, Publix, and Giant Eagle. *Our principal attorneys, Galvin B. Kennedy and David W. Hodges, are both Board Certified in Personal Injury Trial Law by the Texas Board of Legal Specialization and have been named Super Lawyers (by Thomson Reuters) from 2006, 2007, 2008, 2009, 2010 and 2011. Wrong dosage. The pharmacist doesn't pay close enough attention to the doctor's prescription and administers the wrong amount of medication. Too little or too much medication can have serious, life-threatening consequences that may only show up over time. Wrong medication. Some medications have very similar names, even though they are used to treat very different symptoms. 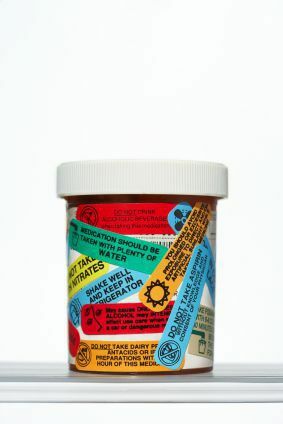 Medication labels are misread and the wrong medication is sold to the patient. Wrong instructions. Doctors and drug companies give drug instructions for a good reason. Not only will the instructions help with the effectiveness of the drug, but following instructions will help reduce the risk of using the drug improperly. Any failure of the pharmacy to provide the patient with these instructions could be fatal. Wrong person. Giving medication to the wrong person can happen when there is more than one person in a household, and the medicine is accidentally distributed to a child or parent. It can also occur among people who have similar names or birthdays. Wrong warning label. Certain drugs have very specific warnings, such as not operating heavy machinery while taking the medication. If the pharmacy fails to add these warnings to the bottle or talk to you about their dangers, it could result in a serious injury or loss of life. Interacting drugs. It is not uncommon for patients to see many different doctors, but many different doctors could mean many different kinds of medication. This increases the chance that the pharmacist could overlook the risk that the drugs are contraindicated or interact with one another. Hospital nurses or doctors failing to monitor. Prescription errors can also happen in the hospital, where medications are often given intravenously. If the nurse or nurse's aide fails to monitor the IV and what is being put into your body, chances are that you are not going to know that there is a problem until it is too late. I received the wrong medication or dosage - what should I do? How much will it cost me for your attorneys to investigate my claim? What is my pharmacy case worth? We all know that pharmacy errors and prescription errors are just that - errors. But it does not mean that you should have to pay for the injury that the error caused. Oftentimes, since nurses and pharmacists are required to work long, non-traditional hours, fatigue and inattention can sink in, leaving the risk for error. However, it is still their job to take care of patients and provide them with the medication they need, even if the patient has the same birthday as another customer or a similar-sounding name. There are certain rules and deadlines that you must meet in order to obtain compensation for your injuries from a prescription error. Negotiating a fair settlement on your behalf, with your approval. If you or someone you love has suffered serious injury due to a prescription error, you need information now. Contact the pharmacy error lawyers of Kennedy Hodges immediately at 888.526.7616 for your free consultation, or fill out our confidential online form.